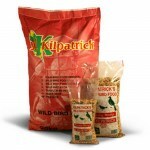 Home - J Kilpatricks -Wild Bird Seeds Ireland, Suppliers of bird food and seeds across the UK & Ireland. Sourced locally, and tested for the highest quality possible and guaranteed GM Free. Call 028 8674 8082 or send us a message online day or night and we will reply asap! If you are unhappy with our products, we will endeavour to help or offer you a complete refund.